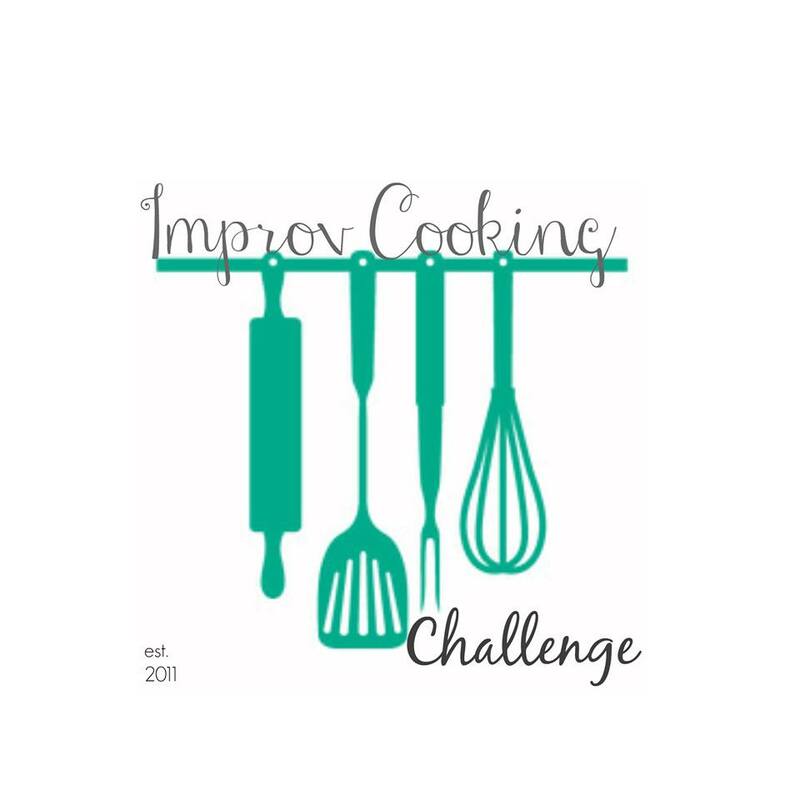 It’s #ImprovCookingChallenge time again! The #ImprovCookingChallenge is a monthly blogging event where two ingredients are assigned to a month. Bloggers can make any recipe they like as long as it features the two ingredients. The ingredients for March are blueberries and lemongrass and I’ll be the first to admit that I was stumped. I’ve never really cooked or baked with lemongrass before, but I did know that you could buy it in paste form made by Gourmet Gardens. I ordered one of those right away and decided I would figure out the rest later. Finally the idea of a cobbler came to me. I wanted something easy I could whip up after work (seeing as this recipe got made only a few days ago) and something that would still be on the healthier side but felt like a dessert. This Lemongrass Mixed Berry Cobbler is a healthy alternative for breakfast or dessert, as it’s made with oats, oat flour and stevia, as well as mixed berries and lemongrass paste for a tart addition. Preheat the oven to 375 degrees. Line a baking sheet with parchment paper and place 4 ramekins on top. Add the mixed berries to a medium bowl. Add in lemongrass, zest from the lemon and juice from the lemon. Stir to combine. Divide mixture between the ramekins. In another bowl, add the softened butter, old fashioned oats, oat flour, stevia, vanilla extract and salt. Mix until combined. 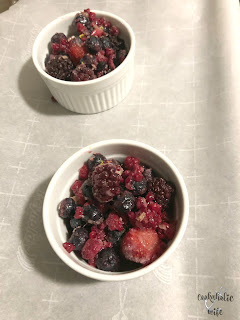 Place 2-3 tablespoons of the crumble mixture on top of the fruit, covering it. 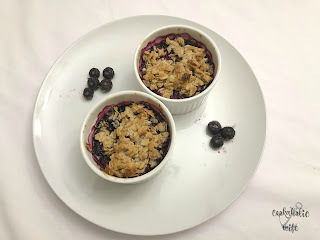 Bake for 25-30 minutes or until fruit is softened and crumble is golden brown. Note: oat flour can be replaced for all purpose, wheat, or almond flour. Stevia can be replaced with sugar or other sugar substitutes. 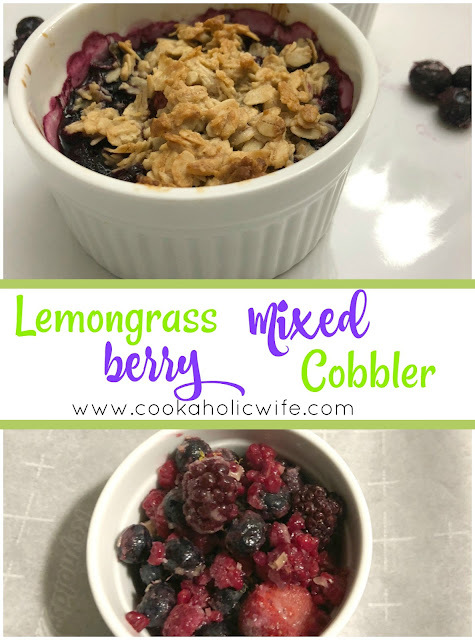 This cobbler is exactly what I wanted it to be! Light, fruity, fresh and sweet. Really, how could you go wrong with that combination? 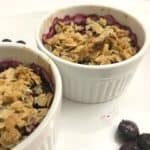 The lemongrass flavor is mild with the berries and the crisp topping has the perfect amount of crunch. Yum! 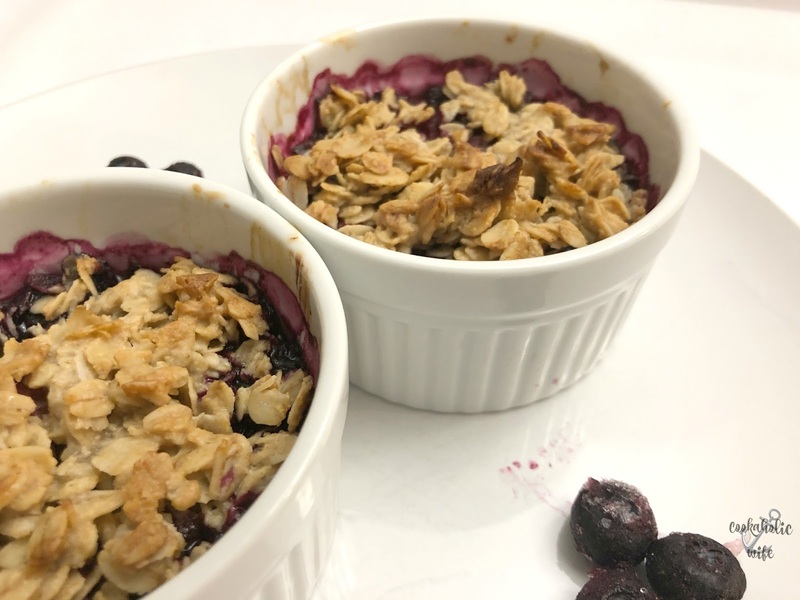 This looks like the perfect spring dessert! I was surprised at how well the flavors melded together. Your cobbler looks delicious. I can't wait to try it. The cobbler was a great choice Nichole. They look scrumptious.